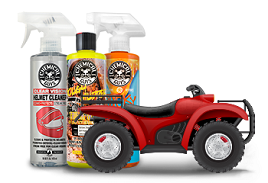 Diablo Wheel Gel is a pH-balanced wheel and rim cleaner that uses gentle oxygen infused foam to safely clean any shiny wheel finish. This non-caustic formula is perfect for weekly maintenance washes! Brake dust and road filth is not just ugly, it will destroy your wheels if left unchecked. 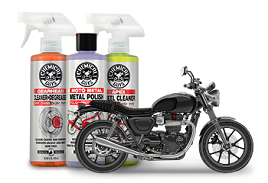 Diablo Gel Wheel & Rim Cleaner lifts away stuck-on brake dust and road grime with concentrated suspension technology. Oxygen-infused cleaners and slick lubricants guide filth off the wheel and into a foaming lather that will not scratch sensitive surfaces when scrubbing with a brush. Many wheel cleaners use caustic acids and heavy alkaline compounds to cut through brake dust which corrode and destroy shiny wheel finishes and car parts over time. Diablo Wheel Gel is gentle, non-caustic, and safe to use around any other car part in the vicinity of the wheel. 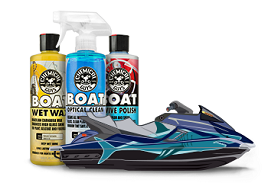 Simply rinse off any overspray without any fear of etching or staining any other car parts!